KK (T) Limited was established and has been operating in Tanzania since1997. 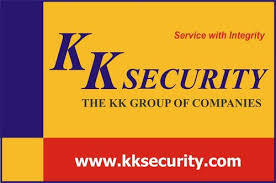 The Company provides diverse security solutions. These range from provision of premium commercial and residential solutions in urban and rural areas to large Agricultural Estates security, Mining, Oil and Gas, Ports, NGOs, Hotels and Embassies. In order to strengthen its operation, the company needs to fill the receptionist position. Minimum of two (2)years’ experience on Customer Services and sales works. Good knowledge and experience using the MS Office suite, particularly Excel, email etc. Answer to all Customer queries From Enquiries to complaints to the customer’s satisfaction. Responding to customer’s letter in liaison with customer service Administrator/Branch Manager. Attain customer feedback through questionnaires, telephone calls and analyze them monthly. Being the liaison between customer and the company (any dept). Collection of Company Cash coming from Clients and manage them as per Company’s Policy. Able to act professionally at all times. Ability to work under pressure and on your own initiative. Please take a note that, only short listed candidates will be contacted and kindly take a note that we do not charge any fees to receive or process your application.